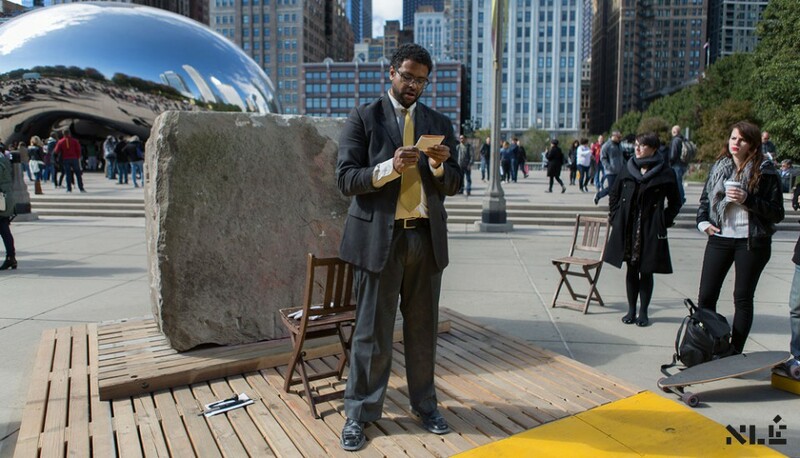 ARTIST FAHEEM MAJEED / A collaboration of SAIC and the Shapiro Center, the Chicago Architecture Biennial, and Kunlé Adeyemi. 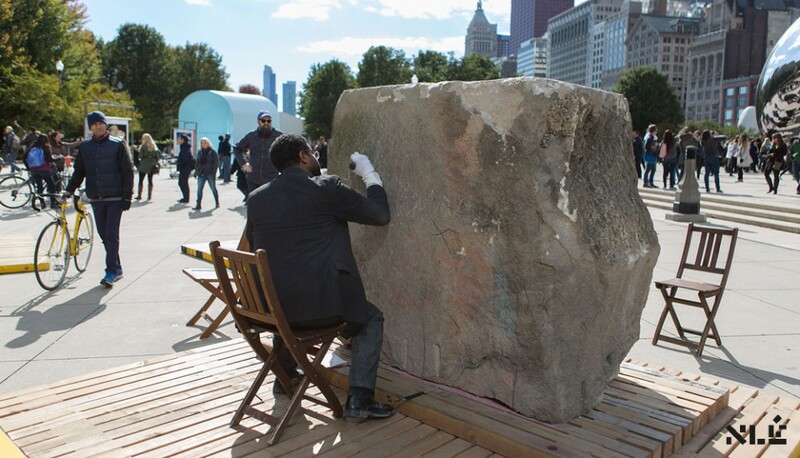 Now, for the ROCK project, Majeed will enact a performance that brings tribute to the late Dr. Margaret Taylor-Burroughs, founder of Chicago’s DuSable Museum. 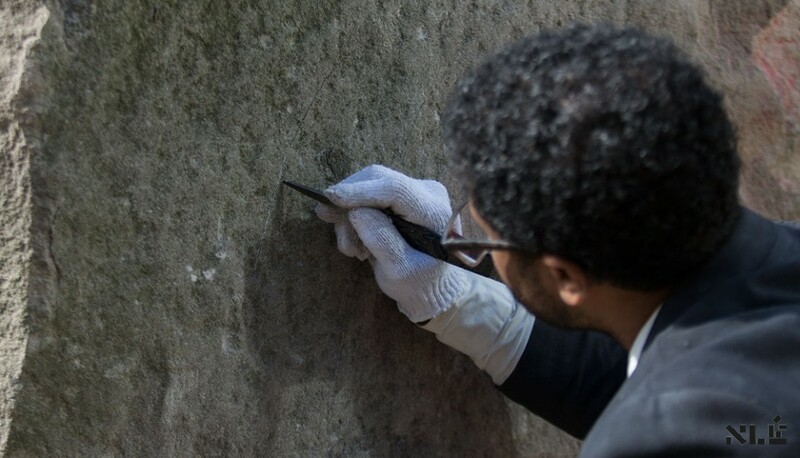 In this performance that considers legacy, Majeed will don his well-known performance attire–a black business suit–and inscribe Dr. Burroughs’s cursive signature into one of the rocks.